IMG_4535 from New Mexico Literary Arts on Vimeo. Alvaro Cardona-Hine, 2015 Gratitude Awardee, reads "To My Father". New Mexico Literary Arts has had a rollicking history in its effort to become a culturally, poetically and socially relevant entity. 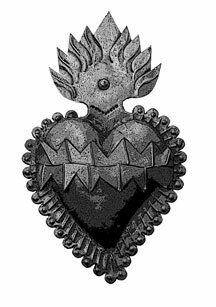 Originally granted 501(c)3 status as the Poetry Center of New Mexico, a new board with a new, broader mission was formed in 1997, and re-incarnated with all credentials intact as NMLA. We have produced events in Santa Fe, Albuquerque, and elsewhere in New Mexico. New Mexico Literary Arts recognizes the needs of other organizations around the state who are applying for grants which require a 501(c)3 status fiscal agent. We can offer our expertise in fulfilling this end of the grant submission process. Please contact us with the scope of your project and how we may be of assistance. There are also instances where a project is not grant-driven, but help is needed in making it a success. New Mexico Literary Arts Board Members have a wide range of experiences and are willing to offer technical assistance or simply knowledgeable advice. 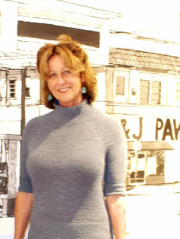 Born in Paterson, New Jersey, Anne Valley-Fox has lived in New Mexico for over 3 decades. Her poetry books include: How Shadows Are Bundled (University of New Mexico Press, 2009), Point of No Return (La Alameda Press, 2006), Fish Drum 15 (Fish Drum Press, 1999) and Sending the Body Out (Zephyr Press, 1986). 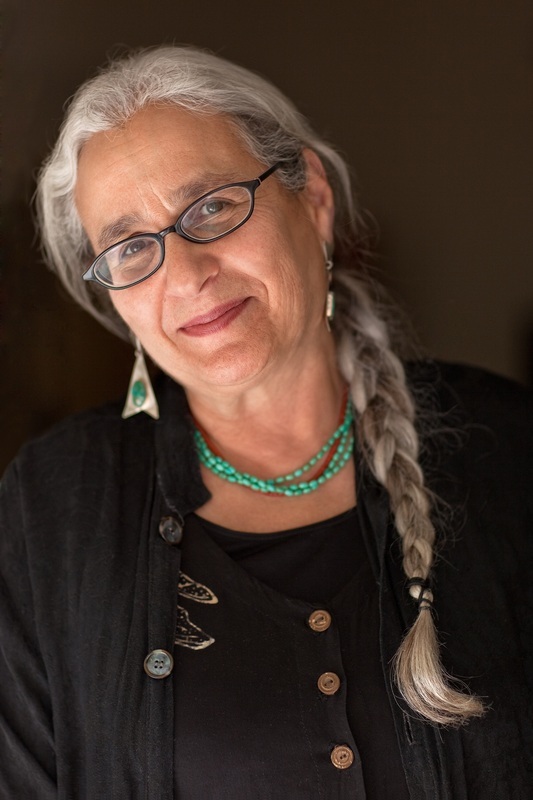 She published Your Mythic Journey (with Sam Keen, Jeremy P. Tarcher/Putnam, 1989) and is co-editor of five oral history collections from the New Mexico Federal Writers’ Project (Sunstone Press, 2008-2013). Please see AnneValleyFox.com. Michelle Holland lives, writes, gardens, and runs in Chimayo, New Mexico. Her books include the collection “Event Horizon,” included in The Sound a Raven Makes (Tres Chicas Press), and Chaos Theory (Sin Fronteras Press). She is the treasurer of the New Mexico Literary Arts (NMLA) board, one of the poetry editors of the Sin Fronteras Journal, and an active member of the board of New Mexico CultureNet. Elizabeth Raby’s memoir, Ransomed Voices, published by Red Mountain Press in 2013, received an award from New Mexico Press Women. She is the author of three books of poems, This Woman (2012), a finalist for the 2013 NM-AZ Book Award, Ink on Snow, (2010) and The Year the Pears Bloomed Twice, (2009) all from Virtual Artists Collective (www.vacpoetry.org). 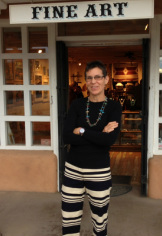 A graduate of Vassar College (BA) and Temple University (MA in English-Creative Writing), Ms. Raby has lived in Santa Fe since 2001. She and her husband conduct a monthly open poetry reading at Teatro Paraguas in Santa Fe. 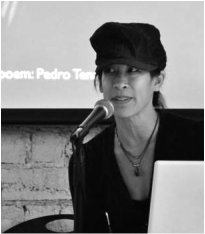 Edie Tsong is an artist/writer activist whose projects explore how we connect with one another. Her projects have taken the form of conceptual portraits using text, video conference, clay, drawing, installation and performance. She has exhibited internationally, and lectured nationally. She is the founder of Cut+Paste Society, and the Founding Director of Snow Poems Project. 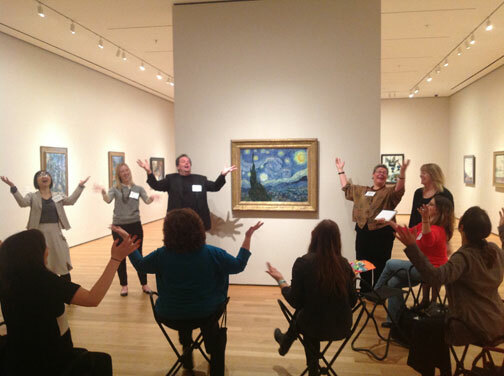 Photo: At MoMA performing a poem inspired by "Starry Night."